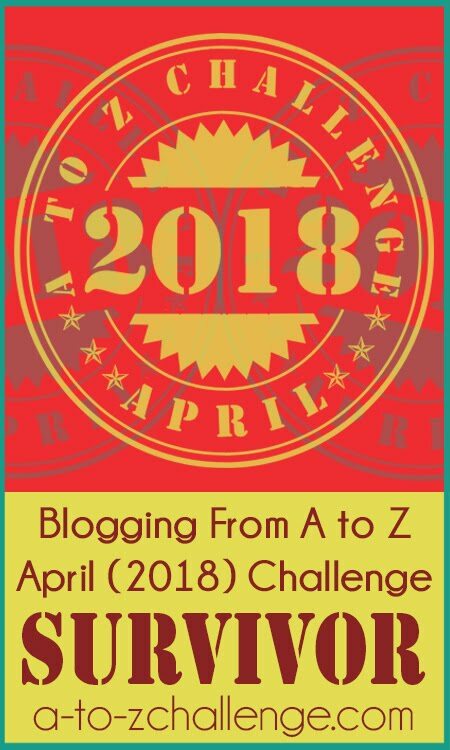 Blogging from A to Z April Challenge: Get your A to Z Theme Reveal badge! Looks great. Thanks! 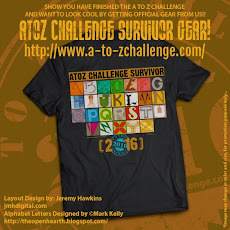 Looking forward to my 4th year with the A to Z Challenge. I've revealed my themes to a few real-life friends, and have dropped some vague hints about future posts on certain topics, though I'm keeping both a secret online until the big reveal. I'm really looking forward to finally revealing them. NO!!! Please, I beg you, make it stop! Thank you, yours sincerely, Gary "The official anti-A to Z spokesman", as good old Arlee claimed me to be. I still have to think of a theme though... I have a few ideas but need to actually settle on one now! Looking forward to this year's Challenge. As a 2016 "Survivor" I had a blast. Will have more fun stuff to post this year!! I've been working on my theme and have the post ready to go. My name is not showing up in the sign up list. My theme is The Transformation of a Jelly Baby or Couch to 10 k, "theme reveal" post is here https://thispilgrimsdailyprogress.wordpress.com/2017/03/20/theme-reveal-for-atoz-challenge/. Art Nouveau is my theme! A bit late for the official reveal but I am here and ready to go again this year! 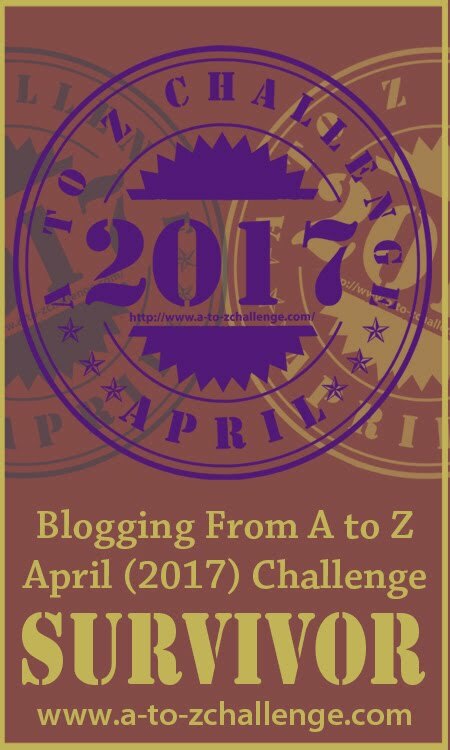 This is my first look at the A-Z challenge and it's seems confusing. Do we have to have a theme? Can I just start on Day 1 with something beginning with A and then something unrelated beginning with B? A bit late with the theme reveal (here's hoping that's not a sign of how things will go in April!). I'm very much looking forward to discovering some new blogs and blogging friends - Good luck everyone! Quite late but here's mine! The countdown begins! Hi Trish-In case no one answered you, you can blog it however you want as long as it matches the letter of the day. Most people do follow with a theme because it makes it easier. I totally missed the theme reveal. Oh well. That's about where I am this year. This is my second go-round for A to Z. This year I'm doing a poetry theme to coincide with National Poetry Month. Thanks for the support. My theme is famous Women. Little biography of ancestor, and some serious home work. So I just came across this like, yesterday LOL, but decided to dive right in. I've started/stopped so freaking many blogs, but i'm hoping this one sticks! 'The Very Many Emotions of Motherhood' is my theme. Please join me in my emotional odyssey of motherhood for the thirty days. Looking forward to read all of your's AtoZ posts. My theme is A to Z writing terms. I hope it's not too late to jump in. 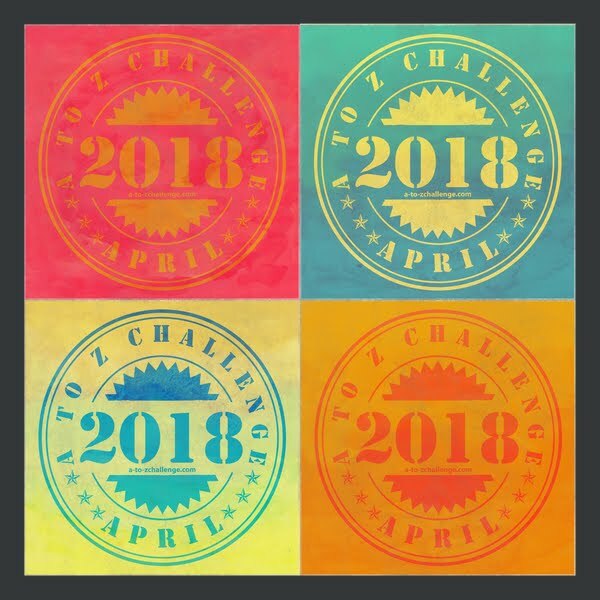 Did not know about this challenge until April 1. My theme reveal post came out April 2 here https://evablaskovic.com/2017/04/02/theme-reveal-blogging-from-a-to-z-challenge-april-2017/. Theme is Components of Literature (which includes fiction terms and literary devices). 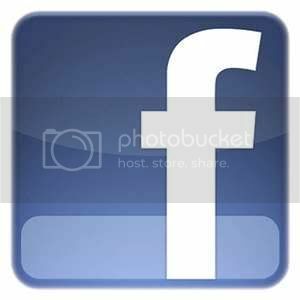 My posts contain embedded music, videos, movie clips, and GIFS, as well as explanations, examples, and links to other sites. 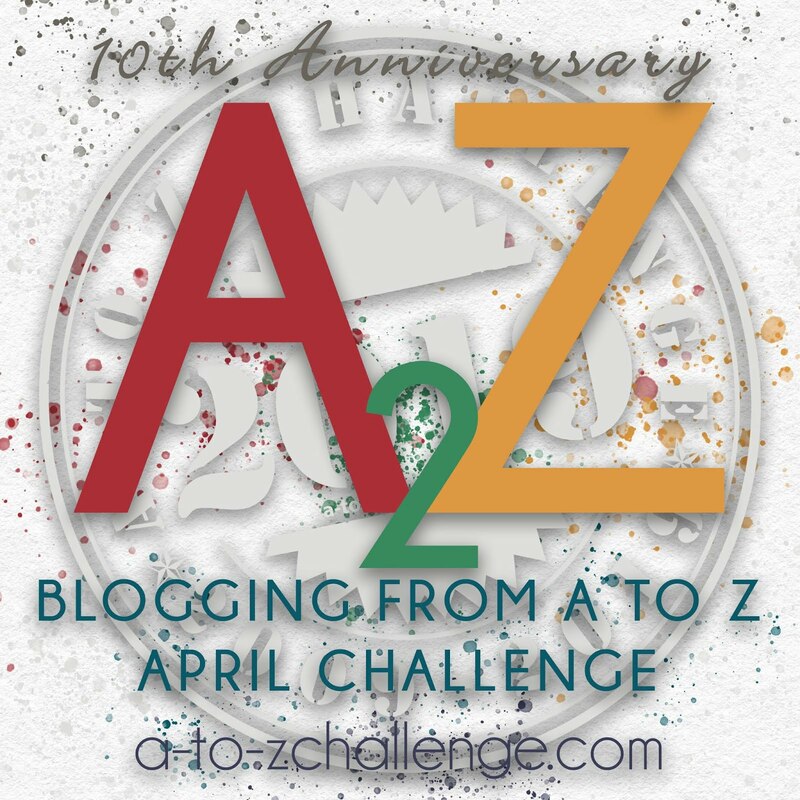 April 30: Aside from the Z post of the day for the A to Z Challenge, I will be posting a complete A to Z poem using only the letters of the alphabet in order. I know other people who jumped in late and caught up at their own pace. They are now on track.